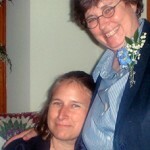 Help my friend Deb Mensinger get a new liver! 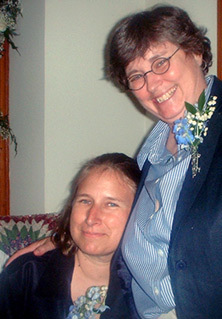 Deb Mensinger, the wife of fantasy author Laurie J Marks needs a new liver, and it looks like the whole fan-and-pro community is jumping in to her out. You can help, too! There’s an online auction to raise money for the incidental expenses involved. Go, there, buy some cool stuff — there are cookies made by a lawyer, voice lessions from a professional singer, a personal monthly letter from your very own Finnish correspondent! Plus any number of rare and autographed items. Jewelery, books — even someone offering to write a blog post for you! 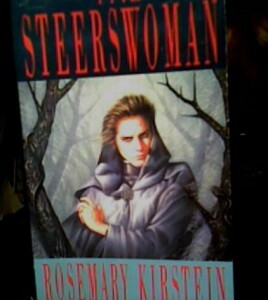 Item Number 1. an autographed copy of the British edition of The Steerswoman,. Ever since Del Rey combined The Steerswoman with The Outskirter’s Secret into one volume (The Steerswoman’s Road) it’s been hard to find a stand-alone copy of just one or the other. But I have some copies of the British edition of the first book. This is good for introducing friends to the series, when they might balk at investing the time to read a double-sized trade paperback. 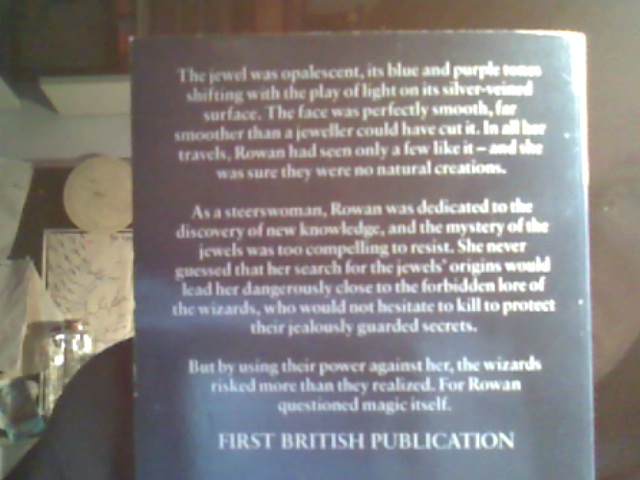 Plus: different cover art, and all exclamation points removed from the back-cover blurb (hey, they’re Brits). It’s all for a good cause. These are two people who are very dear to me.